In this tutorial we will show how to build WiFi PIR motion sensor connected to EasyIoT Cloud. We will use ESP8266, PIR module and Arduino IDE. In this tutorial we will show how to build WiFi door/window sensor connected to EasyIoT Cloud. We will use ESP8266, magnetic switch and Arduino IDE. 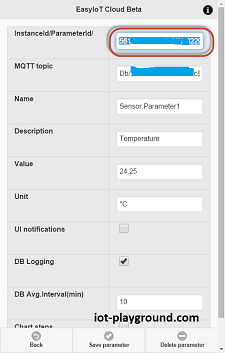 In this tutorial we will show how to build WiFi humidity and temperature sensor connected in EasyIoT Cloud. We will use ESP8266, DHT22 and Arduino IDE. In this tutorial we will explain how to use EIoTCloudRestApi library.